One of my family’s favorite meals is meatloaf. 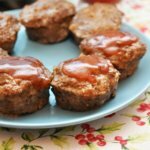 On weeknights, I am always short on time, especially for dinner, so I like to make meatloaf muffins. It’s the perfect individual serving size for kids, and they are done in a matter of minutes versus waiting on a whole meatloaf for nearly an hour. Heck yeah! French’s is one of our absolute favorite go-to brands for mustard and ketchup. You can find it nationwide at retailers like Walmart. I’ve been buying it at Kroger because they frequently have it on sale. 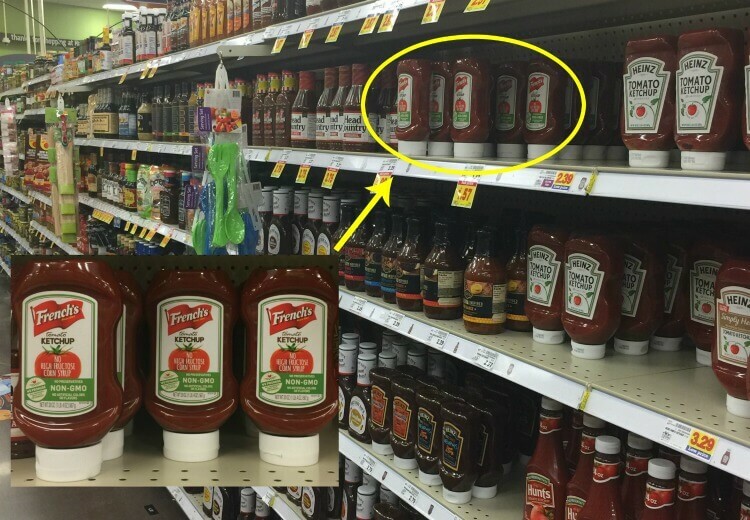 There are a lot of reasons why I prefer French’s Ketchup over the other brands. 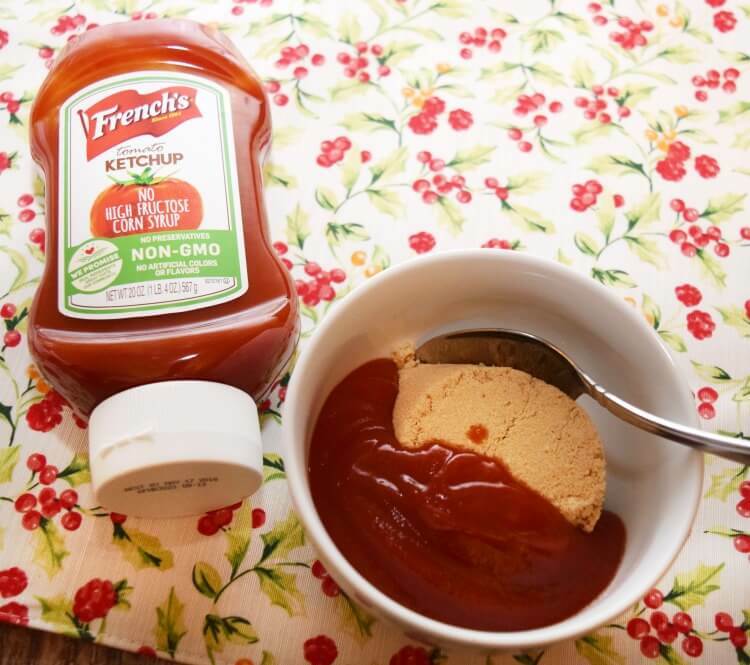 Did you know French’s Ketchup uses real ingredients, like real sugar and high quality tomatoes? Plus, it has no GMOs, high fructose corn syrup, preservatives, or artificial flavors and colors. 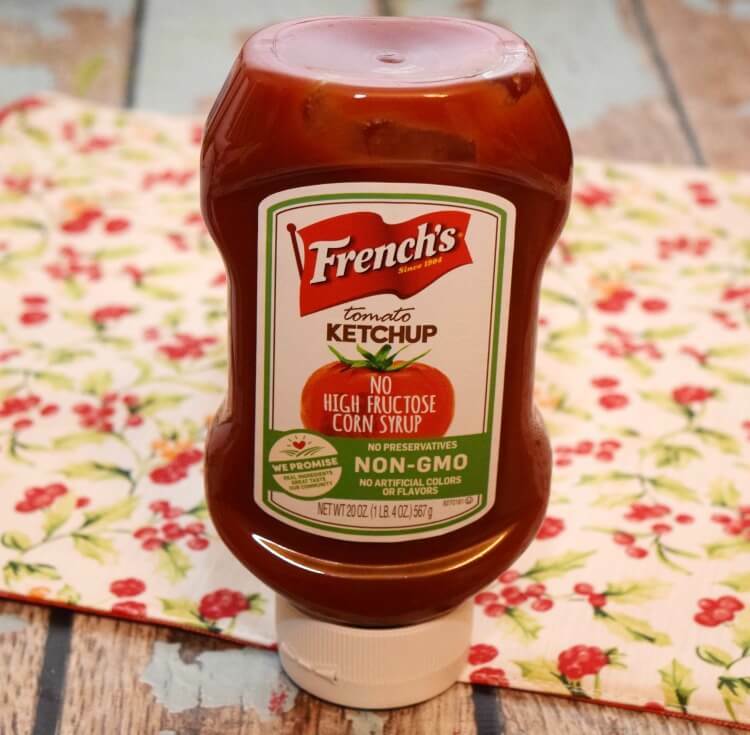 Check out this video for French’s Ketchup! We always had ketchup for dipping sauce when I was growing up when it came to meatloaf, and my daughters both love it for dipping their meatloaf, too. My husband and son, however, love a “special sauce” I make for their meatloaf, and you’ll never believe how simple it is – just two ingredients! Years ago my husband went to someone’s house for dinner, and they served meatloaf with an amazing sauce. When he asked what it was, the hostess told him it was just ketchup mixed with brown sugar. When we got married, my husband wanted me to make this sauce every time I made meatloaf. Over the years, I’ve perfected my ratio of ketchup to brown sugar to be 1:1 to make the perfect flavor. 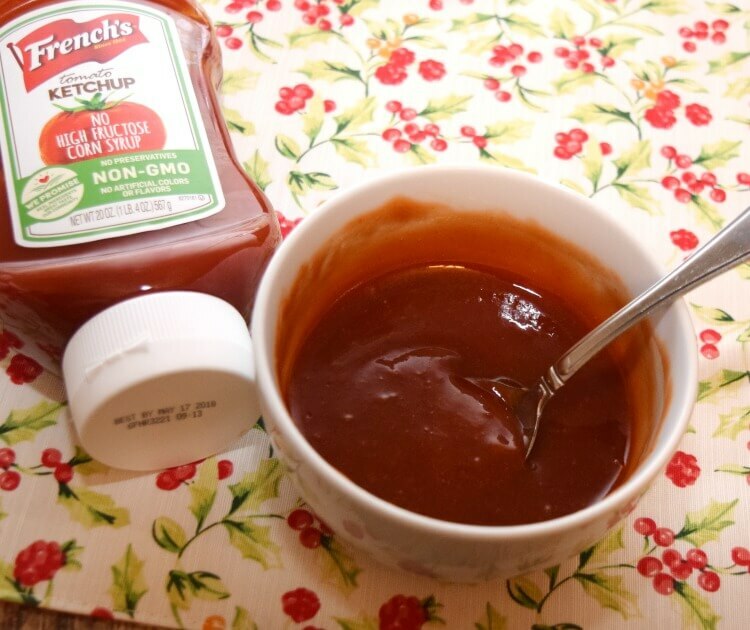 I always put a bowl of this sauce out on the table for dipping. I also pull the meatloaf muffins out of the oven about 3-4 minutes before they’re completely done, and I add about a teaspoon of sauce on top of each muffin. Then, I pop them back in the oven to finish. As it bakes on the meatloaf muffins, it thicken up and crystallize just a bit. Now you can learn my secret recipe for meatloaf, and I’ve been making this for nearly 20 years. I like to make it almost identically to my homemade meatballs. 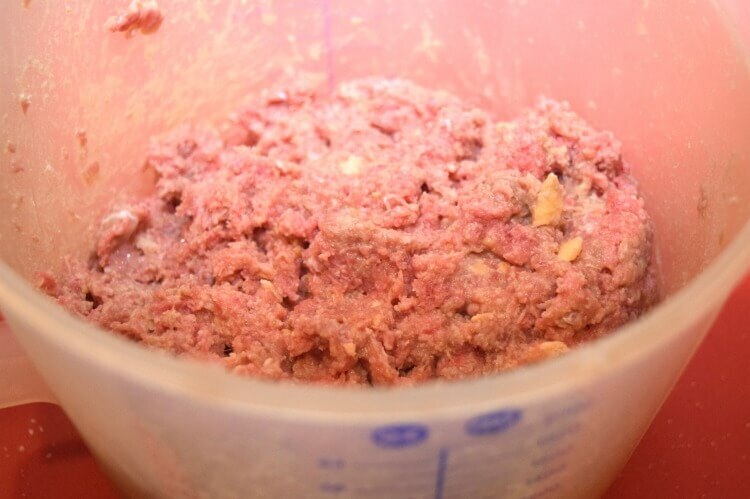 I use about 1 1/2 pounds of 85/15 ground sirloin, which makes about 10 meatloaf muffins. This is perfect for my family because with five of us, two muffins are the perfect serving for everyone. I tend to crush up around 1/2 a sleeve of buttery round crackers instead of bread crumbs or saltines. My father-in-law used to tell me he thought that was my secret ingredient to making a great-tasting meatloaf. But, you can totally use any kind of crackers or bread crumbs. Then, I combine that with milk, an egg, minced garlic, garlic powder, onion powder, seasoning salt, and Worcestershire sauce. I find it best to mix it all up with my hands. Next, I liberally spray a regular muffin tin with canola spray and fill each muffin tin to the top. I bake them for about 15 minutes, until the meat thermometer registers at least 160 degrees. The, I add a spoonful of the sauce to half the muffins and put it back in the oven for 3-4 additional minutes. Combine ingredients and mix together until smooth. Crush 1/2 a sleeve of buttery round crackers. 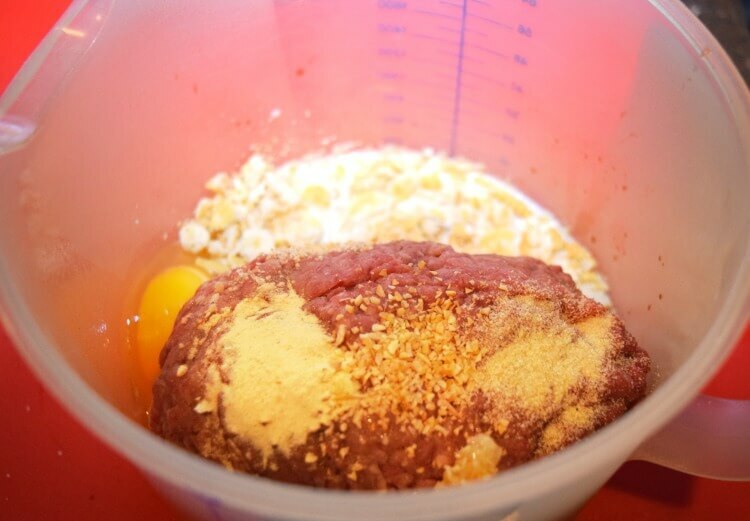 Combine the sirloin, egg, milk, crushed crackers, Worcestershire sauce, minced garlic, garlic powder, onion powder, seasoning salt and mix together until well combined. Spray a muffin tin with canola or olive oil spray. Fill each muffin tin to the top with the meatloaf mixture. Bake for 15 minutes, until the internal temperature is 160 degrees. Remove from oven and add a teaspoon of the Meatloaf Sauce to the top of each muffin and put it back in the oven for 3-4 additional minutes. Serve extra Meatloaf Sauce on the table for dipping. Once they’re done, I serve them immediately, and we rarely have leftovers. 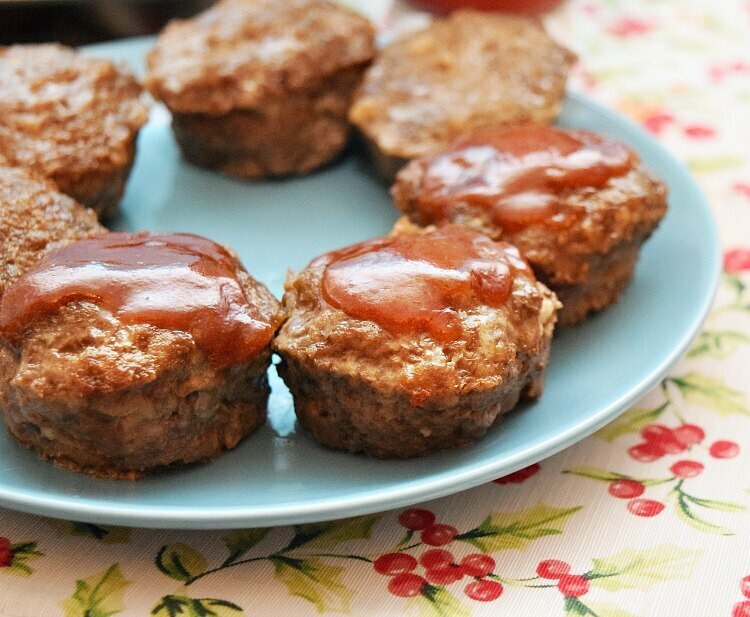 Meatloaf Muffins have been one of my go-to recipes for years for an easy weeknight meal. They bake quick, and my kids have always loved these, even when they were picky toddlers. Looking for more ideas for French’s Ketchup? 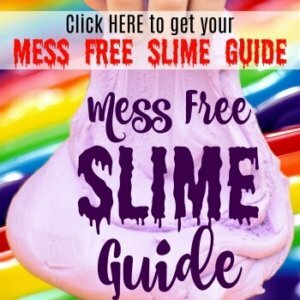 Check out all these amazing recipes! Oh yum! We make meatloaf muffins a lot, but we put mashed potatoes on top. I am loving your idea! I love meatloaf and love how easy this looks to make! These would be great for a quick dinner and I know that my daughters would love them too! What a great way to make meatloaf! I’m always looking for time-saving tips when it comes to getting a midweek meal on the table. The sauce looks scrumptious too. The meatloaf muffin looks like a really good and tasty meal. It goes so well with the sauce. These look so good! 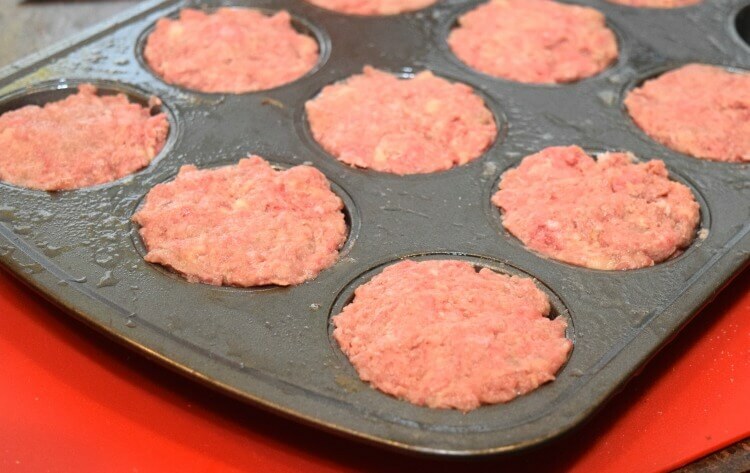 My family actually likes meatloaf and putting it into a muffin pan sounds like more fun! Those are perfect! I absolutely adore these. I’m thinking maybe I’ll top the muffins with mashed potato frosting and then drizzle the sauce over all of it. That is a great idea to make it muffin style. I would love to try that, I am pretty sure my children would love it. Great single serving sizes, unfortunately hubby would have to have at least two of these to begin with. We always add ketchup to our meatloaf and mix some up with some great other stuff to add to the top. My husband is always telling me that I should make meatloaf more often! These would be perfect for Sunday dinner or for packing in his work lunch. This would be a great recipe for me. My husband isn’t too big on meatloaf, so this would be good for me to make a small batch just for me. I could just grab one when I want it instead of having to cut out sections at a time. Those look so cute! LOL. I love meatloaf, but I haven’t tried the French’s Ketchup yet. I’ve always used (that other brand…) lol.. I haven’t made meatloaf in a while and I guess this would be great for dinner tomorrow. The sauce would really perk up the flavor of the meatloaf. Thanks for the recipe. This is going to be another family favorite. I totally adore making main dishes like this into individual serving sizes. Although, my college son might want to eat FOUR of them. 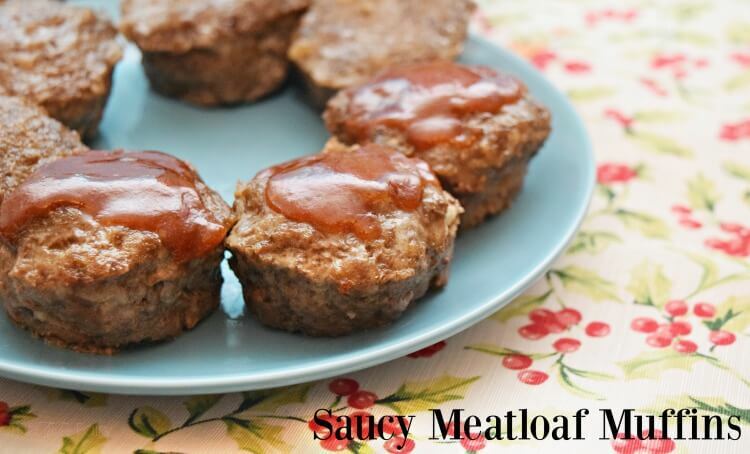 These meatfloaf muffins and the sauce are something I am going to for sure try at my house warming party. The sauce with ketchup and brown sugar sound delicious on the meatloaf. I add brown sugar to my barque sauce too along with putting brown sugar in my sloppy joes. Thanks for sharing the recipes. My kids always love muffins, so I would love to have them try out this meatball muffin recipe. I bet they would absolutely love it! 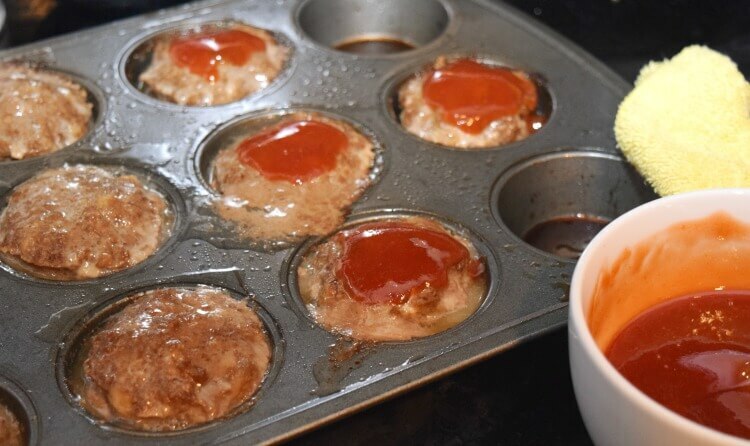 I never thought to make meatloaf in muffin tins, but it’s a great idea. This recipe looks so delicious. I can’t wai tto try this dish! What great portioned meatloaves! I had no idea French’s made ketchup too! Looks good! This recipe looks fantastic! I will check it out.